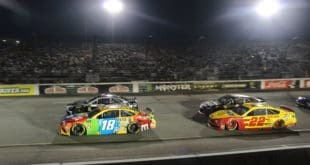 From the day NASCAR ran its first race, fans have questioned whether certain teams and drivers receive preferential treatment. 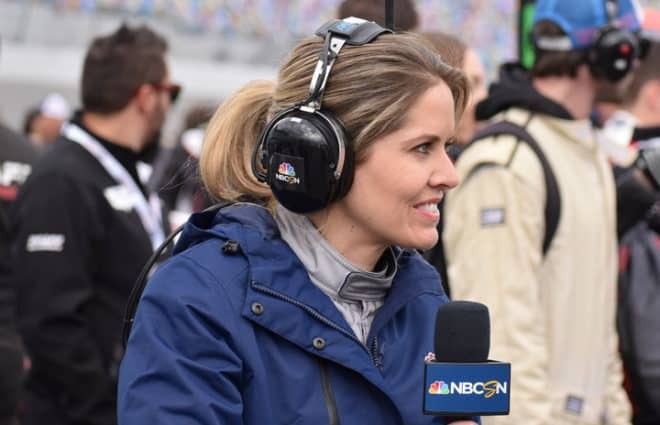 Of course, fans differ in their opinion of just who is getting that treatment and who gets unfairly targeted, usually depending on which teams and drivers they like, so take the complaints with a large grain of salt. Sunday night, though, something went down which really looked like someone had it in for one of the small teams, and it’s hard to say why. Landon Cassill, leading the race, radioed his team about debris on the track. Now, there’s no doubt a caution would have benefitted massively from a caution as he would have been able to pit under yellow, and undoubtedly, several of the teams who had already pitted under green would have also stopped again, giving Cassill a hefty boost in track position. It’s hardly unusual for a driver who needs a caution to suddenly see debris on track and radio to his team to lobby for a caution. Drivers in Cassill’s position, or those about to lose a lap under green do it all the time. What was unusual Sunday night was NASCAR’s reaction to the No. 34 teams lobbying. 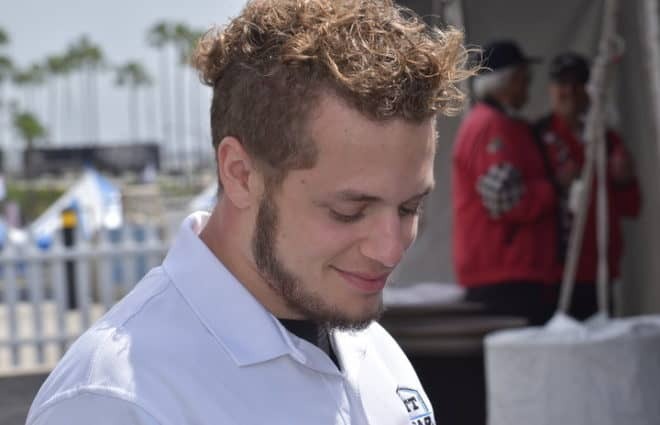 Instead of simply ignoring the idea, they called Cassill’s crew chief to the NASCAR hauler after the race for a discussion. Those discussions are usually reserved for much more egregious crossing of lines, such as intentionally crashing another driver. Singling out Cassill here seemed over the top odd, especially since NASCAR did throw the yellow for debris where Cassill had reported it just a few laps after chastising the team…and the TV broadcast showed it, so there was something there. Of course, the debris could have appeared after Cassill made his case. 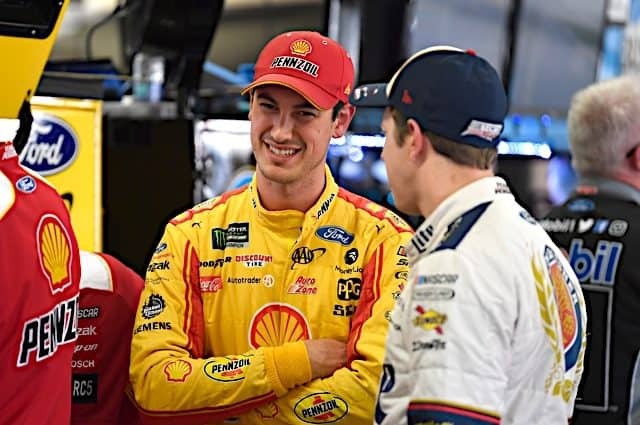 It was just odd to see NASCAR take exception to one team when the same kind of conversation takes place every week from teams up and down the garage. While it’s a bit far to call a single incident favoritism, it didn’t sit well on Sunday night. The four drivers to score top-20 finishes this week shouldn’t really be a big surprise; they’ve been consistently among the best of the smaller teams for most of the year. 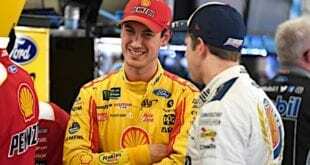 While Ryan Blaney has been the class of this field most weeks, Ty Dillon (13th this week), Chris Buescher (17th), Michael McDowell (19th) and Aric Almirola (20th) have been consistently solid, and they made it pay off this week. Dillon is probably second to Blaney in terms of the equipment he’s getting, so he should be scoring top 20’s, and Buescher, McDowell and Almirola are all solid drivers and are getting the most out of what they’re given each week. 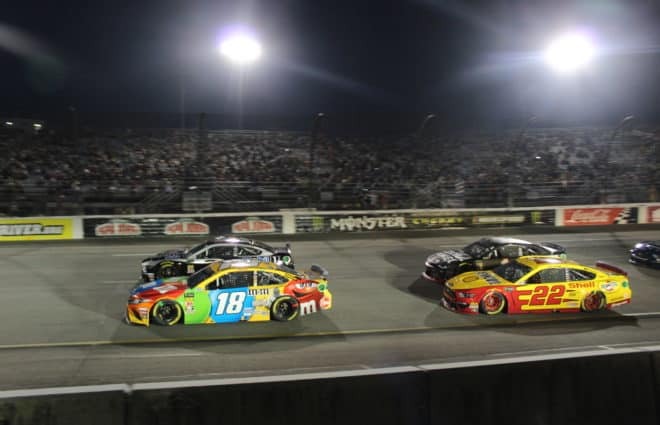 Landon Cassill made the most of strategy on Sunday night, staying out longer than the competition when a round of green-flag stops went down, and it did help him gain some spots in the long run. It also got him chastised by NASCAR when Cassill reported debris while leading—NASCAR called his crew chief to the hauler for a post-race discussion—but the yellow flew for debris as soon as Cassill hit pit road. Hopefully he at least got an apology to go with his 21st place run. Cole Whitt and David Ragan also had strong nights, Ragan despite a flat tire early, to finish 23rd and 25th, respectively. Matt DiBenedetto overcame an early spin to finish 27th and rookie Corey Lajoie came home a respectable 28th. Jeffrey Earnhardt actually had one of his better races, finishing 30th and avoiding issues, though overall, the No. 33 team’s performance is still lacking. Ryan Blaney had engine problems but milked his car home for a 31st-place result. Derrike Cope and Carl Long finished about where expected, in 32nd and 33rd. Both avoided trouble and brought back their cars in one piece, which as noted, is a big deal to a smaller team. AJ Allmendinger struggled with tire problems and wound up 34th, a subpar finish for his team. Gray Gaulding and Cody ware both fell victimto crash damage, coming in 36th and 37th. Reed Sorenson brings up the rear for this group in 39th place after an early mechanical failure. 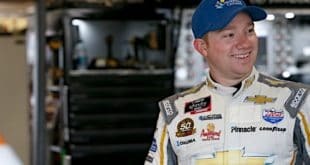 Premium Motorsports announced this weekend Tommy Baldwin will join the team effective immediately as crew chief for their No. 15 Cup Series team. 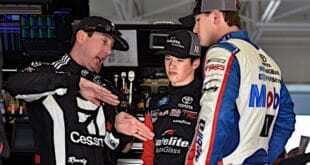 Baldwin, a 20-year veteran crew chief with five wins in the Cup Series, assumes duties form Wayne Carroll. 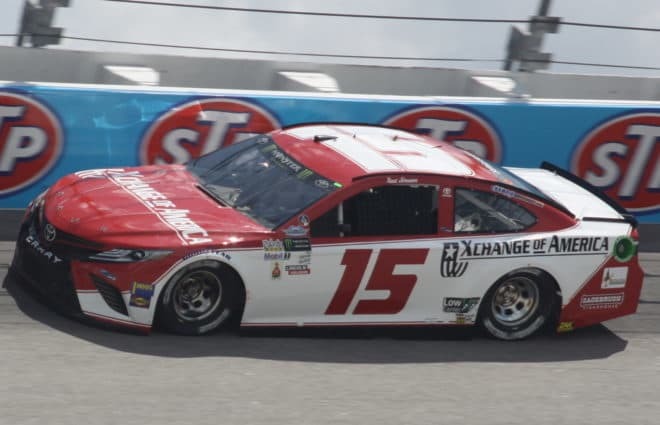 In addition, Premium Motorsports has acquired the remaining assets of Tommy Baldwin Racing, though TBR does have some planned races remaining and will complete those obligations to their sponsors. Nascar picking on the Ford crew huh? Go figure!